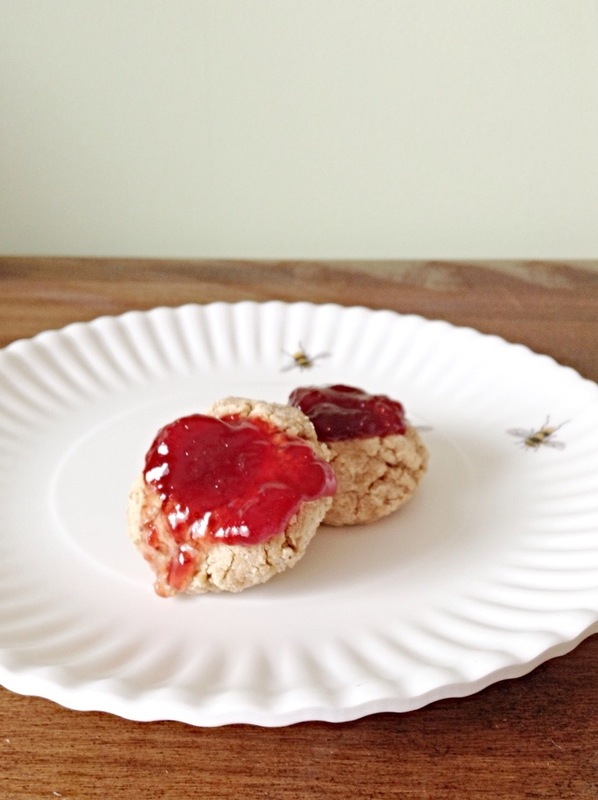 Gluten free, vegan peanut butter oatmeal thumbprint cookies with strawberry jam….Do you ever have a craving for something and you just can’t be satisfied until you get it? That’s how this recipe came to be, one day I just decided that a chewy, peanut butter oatmeal cookie with strawberry jam sounded amazing. Obviously they had to be gluten free, and since I’ve started trying to eat as whole and clean as possible, they had to be vegan and semi healthy. I had to do some experimenting since I’m new to eggless baking but I finally pinned down a recipe that works!